If you’re looking for convenience, comfort, and mobility, doctors’ stools from Modern Office Furniture provide a fusion of the three. 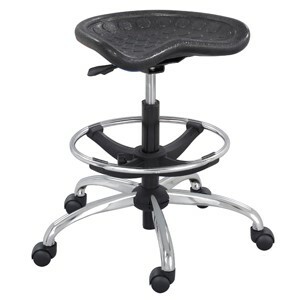 But these highly adjustable and portable stools can be used by much more than just healthcare professionals. Medical examination stools can be essential in a lab environment, for at-home care, or for use in reception. Though simple in nature, a doctor’s examination stool is a fundamentally durable and high-quality piece of furniture. Usually upholstered in vinyl for easy maintenance and cleaning, you can utilize a stool like this in an environment where you need to move around quickly and efficiently. Whether your place of business is medically oriented or not, physician’s stools can provide instant comfort without hampering movement. Utilize the stool’s adjustable height to cater to multiple people throughout the day. Although black medical stools are most common, there is also a wide variety of color options to choose from. With Modern Office’s wide selection of available stools, there’s a configuration that matches your workplace’s needs. It’s important to stay active throughout your workday, and a doctor’s stool provides an easy way to keep moving in your office without getting up. Active sitting increases your energy throughout the day and can improve your posture. Consider a doctor’s stool over other office chair options to stay moving throughout your day. You’ll receive ergonomic benefits from choosing a doctor’s stool, which can help with back issues. There are specially designed ergonomic saddle stools available that help to reduce the effects of a static seated posture, providing you with the comfort and support you need. Choose from options like the Sit-Star Stool and the Saddle Seat Stool to find which option is ergonomically best for your working situation. 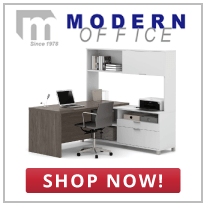 No matter the reason why you need it, a doctor’s stool from Modern Office Furniture is a great purchase. There are many alternative uses for this piece of furniture other than a medical office. With easy mobility, adjustability, and comfort, this stool won’t feel out of place in any business.